The consumer and the brands are forging a new relationship of complicity and commitment that leads at any time and everywhere towards an authentic, human and experiential commerce. In partnership with Havas Paris, Paris Retail Week presents the key insights learned from the observatory of consumer behavior and trade evolutions. Discover in the infographics below the key figures of the observatory. 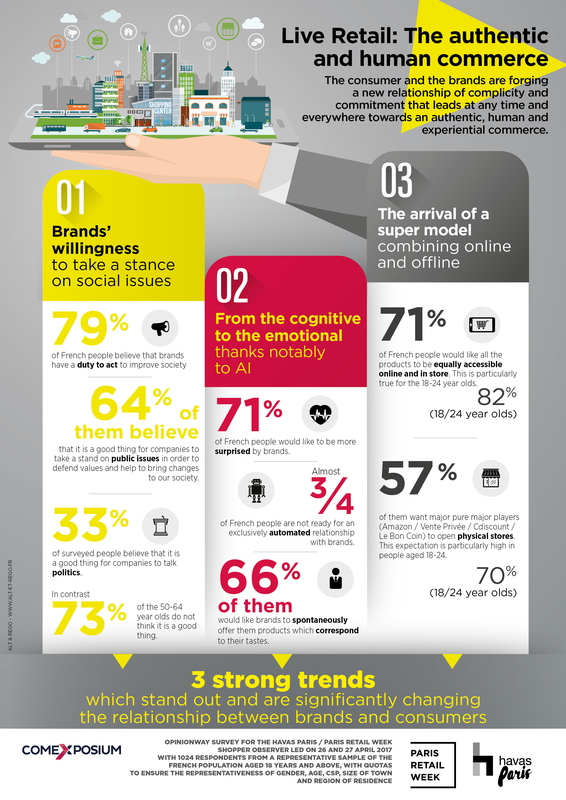 Download the infographics "Live Retail: the authentic and human commerce"